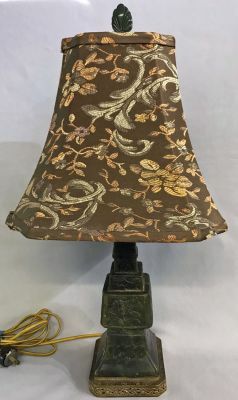 Chinese carved soapstone table lamp, circa 1920s. The stone portion of the lamp is 9 1/4” high. The total height is 20 1/2” to the top of the finial. The base is 4 1/2” square. The shade is 8 1/2” high by 10 1/4”.